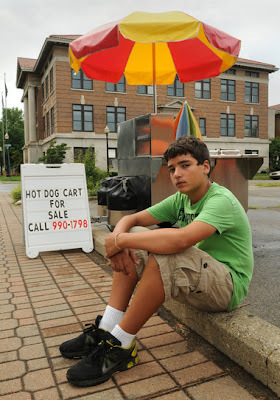 13 year old Nathan Duszynski made national news when his hot dog cart was shut down Holland, MI officials. They claimed the extra assessments paid by brick and mortar restaurants and merchants in the area made mobile food vending "unfair" since mobile vendors don't pay those assessments. Protectionism issues aside, I can see the point as to why downtown merchants would want such a rule, if they do bear extra expense for downtown infrastructure, then they should be entitled to protect their investment. Rules do have exceptions though, and this seems like a situation that screams for one. If a 13 year old kid selling hot dogs during the lunch hour is going to threaten a business' viability, then there is something inherently wrong with that business. 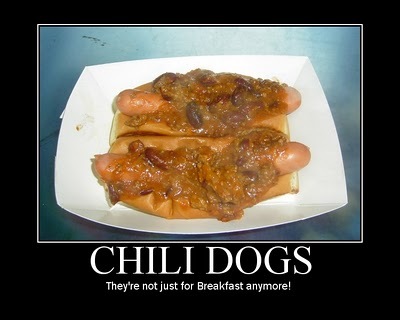 Some good hearted restaurateur should partner up with Nathan so he can sell his dogs. The city does have a rule that allows food carts "associated with downtown restaurants." If I had a brick and mortar joint in that neighborhood, I'd be sponsoring young Mr. Duszynski. It's the right thing to do, given the circumstances, and it would have a "feel good" PR effect for the sponsoring restaurant. WAKE UP HOLLAND RESTAURATEURS AND HOOK THIS KID UP- YOU WILL BE HELPING A FAMILY IN NEED, PROMULGATING THE AMERICAN WAY, AND GETTING SOME GREAT NATIONAL PUBLICITY!! The story took a turn for the worse today. Several weeks after a city zoning officer shut down his hot dog business, 13-year-old Nathan Duszynski and his parents are homeless. The family was hoping Nathan’s hot dog cart could help them through a difficult time. Nathan’s mother, Lynette Johnson, suffers from epilepsy and his stepfather, Doug Johnson, has multiple sclerosis. Their illnesses have restricted them from finding permanent, full-time work. The family receives about $1,300 a month in disability payments, Medicaid and food assistance. The three are having a hard time staying together. MLive confirms what the Mackinac Center learned Thursday — Nathan and his mother are staying at the Holland Rescue Mission. "Nate and I are now in a shelter," Lynette Johnson said. "Doug can't stay with us because he takes prescription narcotics to deal with his pain and the shelter does not allow him with those kinds of drugs." She said the situation has been stressful on the family. Lynette is afraid to be away from her husband in case she has a seizure. Nathan wanted to help out his family by selling hot dogs from a cart he bought with money he saved. He worked out an arrangement with the owner of a local sporting goods store to sell hot dogs in the parking lot. The owner of the store thought it would be a great way to attract customers and even offered Nathan a sales commission if he got people to rent his motorized bicycles. The city of Holland, however, shut down the business 10 minutes after it opened, informing Nathan it was in the city’s commercial district where food carts not connected to downtown brick-and-motor restaurants are prohibited. The Mackinac Center’s coverage of the issue has drawn national attention. Last week, Nathan and his family made an appeal to the Holland City Council. Mayor Kurt Dykstra defended the city’s ordinance, saying it was to protect downtown restaurant owners, who asked that the "success of the downtown district not be infringed upon by those who don't share in the costs of maintaining the attractiveness of that space." A video of the mayor’s comments and the latest on the family's plight will be posted soon. In the mean time, check out this video.